Inflammation is a suspected risk factor for breast cancer and its subsequent prognosis. The extent to which dietary and lifestyle factors might influence inflammation is important to examine. Specifically, dietary fiber may reduce systemic inflammation, but this relationship has not been examined among breast cancer survivors. We examined associations between dietary fiber and serum concentrations of C-reactive protein (CRP) and serum amyloid A (SAA), among 698 female breast cancer survivors from the Health, Eating, Activity, and Lifestyle (HEAL) Study. Data are from interviews and clinical visits conducted 24-months post-study enrollment. Multivariate-adjusted linear regression estimated associations of total, soluble, and insoluble fiber with serum concentrations of CRP and SAA. Logistic regression estimated the odds of elevated CRP (defined as >3.0 mg/l) across tertiles of dietary fiber intake. Mean total dietary fiber intake was 13.9 ± 6.4 g/day. Mean CRP and SAA were 3.32 ± 3.66 and 7.73 ± 10.23 mg/l, respectively. We observed a multivariate-adjusted inverse association between total dietary fiber intake and CRP concentrations (β, −0.029; 95% CI, −0.049, −0.008). Results for insoluble fiber were similar (β, −0.039; 95% CI, −0.064, −0.013). Among survivors who consumed >15.5 g/day of insoluble dietary fiber, a 49% reduction in the likelihood of having elevated CRP concentrations (OR, 0.51; 95% CI, 0.27, 0.95) was observed compared to those who consumed <5.4 g/day (P = 0.053). 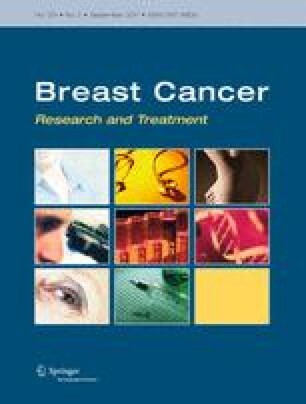 Our results suggest that diets high in fiber may benefit breast cancer survivors via reductions in systemic inflammation; elevated inflammation may be prognostic for reduced survival. The Authors would like to thank the HEAL participants for their ongoing dedication to this study and Gloria D. Coronado, PhD and Sandi L. Navarro, MS for their expertise and assistance. This study was supported through National Cancer Institute contracts NO1-CN-75036-20, NO1-CN-05228, NO1-PC-67010, U54-CA116847 and training grant R25-CA094880. A portion of this study was conducted through the Clinical Research Center at the University of Washington and supported by the National Institutes of Health grant MO1-RR-0037, and University of New Mexico grant, NCRR MO1-RR-0997. Data collection for the Women’s CARE Study at the University of Southern California was supported by contract N01-HD-3-3175 from the National Institute of Child Health and Human Development, and patient identification was supported in part by contract 050Q-8709-S1528 from the California Department of Health Services.